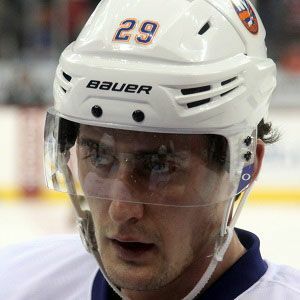 American centre who made his NHL debut during the 2013 Stanley Cup Playoffs as a member of the New York Islanders. While representing the United States, he has earned bronze medals at the 2011 World Junior Ice Hockey Championships and 2015 Ice Hockey World Championships. He was born in Warroad, Minnesota and was a finalist for the Minnesota Mr. Hockey Award while attending Warroad High School. He was named to the All-WCHA Third Team and WCHA All-Tournament Team during his sophomore season at the University of North Dakota in 2010-11. He comes from a famous hockey family which includes Dave Christian, Bill Christian and Roger Christian, all of whom won Olympic gold medals representing the United States. He and Ryan Strome are both former first round draft picks of the New York Islanders.